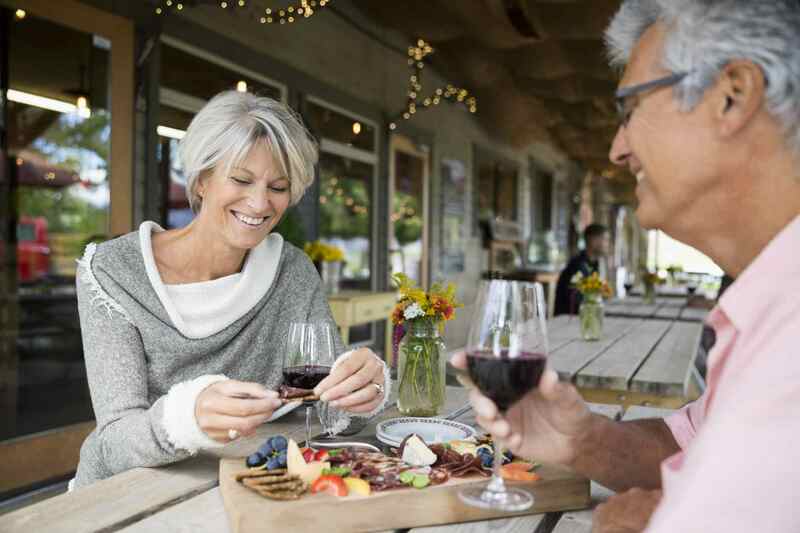 Senior discounts are a great way to save money on dining out, buying groceries, shopping retail, seeing a movie, traveling, and more. These senior discounts start at a certain age and they really vary on how old you need to be. Some of them start at 50, others at 65, and everything in between. 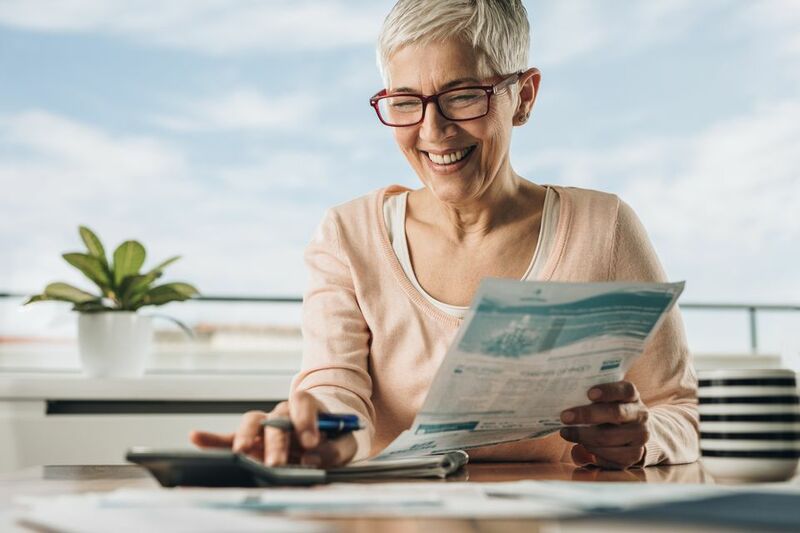 Many of the places that offer senior discounts will give it to you based on your word, but some may want to see your ID so they can verify your age. Be sure to have your ID on you, just in case. These senior discounts often aren't promoted in-store and will not be automatically given to you. Most of the time, you'll need to ask for the discount to get it. In fact, we suggest asking if there is a senior discount every time you're charged, anywhere. It doesn't hurt to ask and you may find some discounts not even on this list. These senior discounts can vary by location so do call the location you'll be visiting to see if they have a senior discount. Everyone's favorite way to save seems to be on dining out. There are a number of popular restaurants that offer senior discounts. Applebee's: Seniors 60 years and older can get 10% to 15% off depending on the location. Bonefish Grill: AARP members get 10% off their food and nonalcoholic beverages. Bubba Gump Shrimp Co: They offer 10% off the check for seniors who belong to AARP. Carrabba's Italian Grill: Seniors who are AARP members get 10% off dine-in purchases. Chart House: AARP members get 10% off food and nonalcoholic beverages every day. Claim Jumpers: Get 10% off Claim Jumpers when you're a member of AARP. Corner Bakery Cafe: Seniors who belong to AARP get 10% off at participating locations. Denny's: They have a 55+ discounted menu every day. El Pollo Loco: They have a senior discount of 10% for guests 60 and older. IHOP: IHOP has a 55+ discounted menu. Landry's Seafood: If you're a member of AARP, you can get 10% off your check every day. McCormick & Schmick's: Members of AARP get 10% off their check every day. The Oceanaire Seafood Room: AARP members get 10% off their check. Outback Steakhouse: Get 10% off your check at Outback Steakhouse if you're a member of AARP. Rainforest Cafe: Seniors who are members of AARP will get 10% off at Rainforest Cafes. Saltgrass Steak House: Get 10% off food and nonalcoholic beverages if you're a member of AARP. Shoney's: Seniors who are 60 and older get a 10% discount at certain locations. sweetFrog Frozen Yogurt: AARP members get 15% off frozen yogurt, treats, and apparel, plus gift cards purchased online. Most grocery stores have gotten rid of the senior discounts over the last 5 years but these stores still offer one. Fred Meyer: Seniors 55+ get 10% off private brand groceries, home, and apparel. Harris Teeter: Seniors who are 60 or older get a 5% discount every Thursday. Senior discounts also apply to retail stores. Thes usually take place on a certain day of the week, although some apply to every day. Bealls Florida: On Tuesday's, shoppers who are 50 years or older get an extra 10% off. Bealls Outlet: Seniors who are 50 or older get 15% off. C.J. Banks: If you are 60 or older, you can get a 10% discount every Wednesday. Kohl's: Each Wednesday, customers aged 60 or older can get a 15% discount. Micheal's: Those who are 55 years or older get 10% off their entire purchase every day. Pep Boys: There's a 10% discount for customers 55 years or older. Rite Aid: Those 65+ get 20% off in-store and online on Wednesdays. Ross: If you are 55 and older, you can get 10% off on Tuesdays. Walgreens: If you are 55+ or an AARP member, you can get 20% off on certain discount days. There are also entertainment senior discounts that you can take advantage of. These are valid on certain days of the week or every day. Alamo Drafthouse: Seniors can get $6 movie tickets every weekday before 2:00 p.m. and all day on Wednesday. This is for ages 60+. AMC: Customers 60 years or older can purchase a senior discount ticket. B&B Theaters: If you are 60 or older you can get a discounted movie ticket. Cinemark: Seniors (62 years or older) get a discounted movie ticket on select days at Cinemark. Check with your local theater for when they offer this discount. Regal Entertainment: Those 60 and over can get a discounted movie ticket. Cirque du Soleil: If you're a member of AARP, you can get 20% off tickets on select shows and 15% off Arena and Under the Big Top touring shows. National Park Service: Seniors who are 62 or older can get a $20 annual senior pass, or an $80 lifetime senior pass. Senior discounts will also apply to your next vacation. Below you'll find senior discounts on airfare, hotels, car rentals and other transportation, and cruises. If you are a senior, we strongly suggest booking through a travel agent. They have access to a huge number of senior discounts that only they can give you. American Airlines: Travelers 65 or older can get senior discounts when making a reservation by phone. British Airways: AARP members save $65 to $200 off round-trip tickets. Southwest Airlines: Seniors who are 65 years of age or older can get discounted fares by making a reservation through Southwest or their travel agent. United Airlines: United gives a senior discount for customers age 65 and older. Best Western: Guests 55+ get a senior discount of 15% on room rates. Candlewood Suites: Seniors who are 60 years of age or older can get a discount on hotel reservations. Choice Hotels: Seniors who are 60+ or an AARP member can save up to 10% with advance reservations. Days Inn: Seniors 60+ get a discount off the best available rates at Days Inn. Hampton Inn: Seniors can save up to 10 percent if they are 60 plus. Howard Johnson: Those 60+ get a special discount off the best available rates. La Quinta: AARP members can save up to 10% and seniors 65 or older are also eligible for discounts. Marriott: Seniors who are 62 years and older can get 15% or more off their room rate. Super 8: If you are 60 years or older, you can get a special discount off the best available rates. Travelodge: Seniors who are 60+ will get a special discount off rates. Wyndham: Members with AARP can get 10% off the best available rate. Avis: Seniors who are AARP members can get up to 30% off Avis base rates. Budget Rent A Car: If you're a member of AARP, you can get up to 30% off base rates as well as free upgrades. Hertz: Seniors 50 years and over can get up to 20% off base rentals. Payless Car Rentals: Save 5% off Payless Car Rentals if you're an AARP member. Amtrack: Seniors who are 65 and older get a 10% discount on the lowest available rail fares. Greyhound: If you are 62+ you can ask for a 5% discount. Carnival: Seniors, age 55 years and older, can get special rates on Carnival cruise line. Norwegian Cruise Line: If you are a member of AARP, you can get $100 off select cruises or 5% off all sailings. Royal Caribbean: Seniors 55+ can get reduced prices on select sailings.